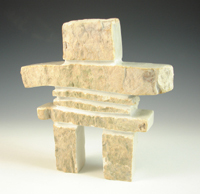 You can't get a more authentic Inukshuk than this. 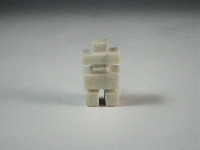 Created by an Inuit on the shores of the Arctic from Inuit stone. 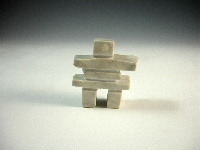 Inukshuk inlaid in polished river stone. 6.4cm L x 1.6cm W x 8.6cm H.